examples/basic.html [view source] : It shows the most basic usage of this extension. examples/demo.html [view source] : It shows a little bit shinier demo. examples/discoball.html [view source] : It shows a little bit shinier discoball. TODO to port in its own demo. It doesnt even use live rendering. Use the “minecraft goes party” from nextgamefrontier talk. First you need to create a classic mesh, the one which gonna reflect the live texture cube. 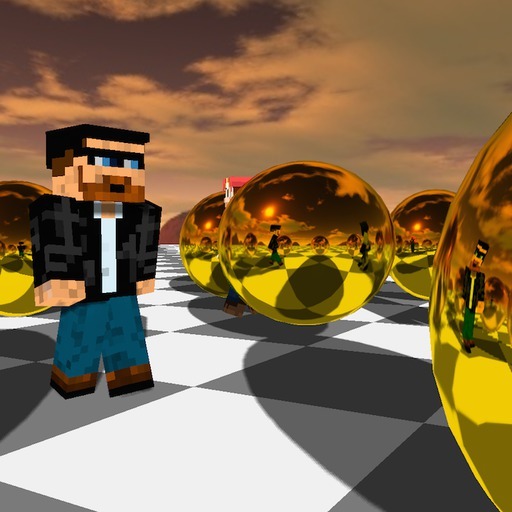 In this example, we gonna create sphere with the color ‘gold’ like this. Now we needs to create the cube camera which gonna update the texture cube live. We do that like this. Now that we got the textureCube, we set the mesh material to reflect this texture cube.